Shiona Turini (for long—@shionat for social media short) has it figured out. For starters, she has a seriously amazing affinity for fashion, accented with a special à la carte knack for creating some sensational beauty moments which, of course, which we spot and screenshot regularly while scrolling through our feeds. 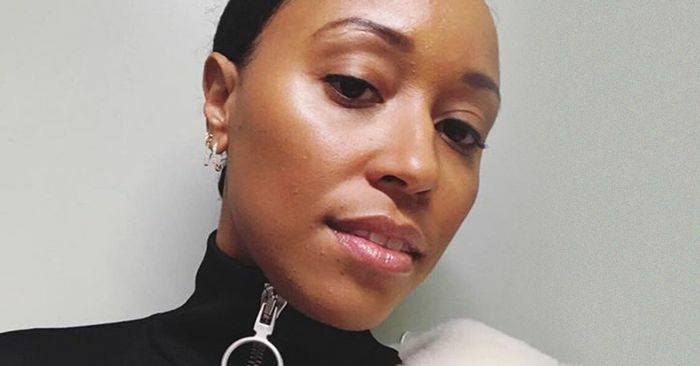 Having been in the business for roughly a decade, the consultant, stylist, and costume designer has solidified herself as one of the industry’s most sought-after experts when it comes to both fashion and beauty know-how, and she’s worked closely with some of the most talented names in entertainment (Beyoncé and Solange Knowles, Issa Rae, and noteworthy brands such as Christian Dior, Nike, Teen Vogue, W Magazine, Elle.com, MAC Cosmetics, and New York Magazine‘s The Cut.) Oh, and she also has really fantastic hair. As beauty and fashion editors, whenever we come across someone as equally talented, busy, and put-together as Turini, we automatically hanker to know all of their secrets. How does she keep her skin on good behavior while flight-hopping? What mascara does she use for maximum staying power and minimum flake? And what on Earth is the process like when someone as beauty adept as Turini jumps over to New Orleans for four months for work? A self-proclaimed island hopper, Turini is no stranger to uprooting her at-home beauty routine and transforming it for travel with fairy godmother–like flair. Since Turini’s recently been working on a couple of major projects in New Orleans, we thought it the perfect opportunity to ask the costume designer just how she does it. What did she pack, what does she swear by, and what can she absolutely not live without? Ahead, she explains all that and more. Keep scrolling for our exclusive sneak peek into the beauty bag (and mind!) of one of fashion’s leading ladies.